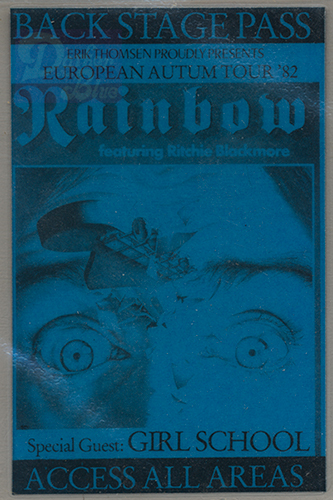 RAINBOW European tour, Straight Between The Eyes. This is one of the few Rainbow tours not to have reached the UK. This tour pass is for the European shows which began in Oslo, Norway and ended in Madrid, Spain.